P.S : If you want to see the images more clearly press on them to enlarge. Hong Kong is number one on my list for many reasons: Hong Kong has a whopping 43 buildings over 200 metres tall, 30 of which were built in the year 2000 or later!!! It also boasts four of the 15 tallest buildings in the world… that's all in one city! Hong Kong’s skyline shows a large selection of distinct sky-reaching towers, with beautiful night lighting and reflection. This city exemplifies the post-modern skyscraper and skyline. Finally, the mountain backdrop makes this skyline (as you can clearly see) the greatest on the planet! Chicago is the birthplace of the modern skyscraper. When Chicago built its first steel high-rise in 1885, it was not the tallest structure in the world but the first example of a new form of engineering that would change nearly every city on earth. Chicago has 19 buildings over 200 metres tall (three of which are among the top 20 tallest buildings in the world, including the tallest in North America). Chicago has some of the finest mid-century architecture and examples of modern skyscrapers. Not to be mistaken for a space station, Shanghai is a real city! China's biggest and most advanced city, Shanghai was said to be the most cosmopolitan city in the beginning of the 20th century, but lost its glory during the “Mao era”. It is now quickly regaining its position as one of the biggest economic powerhouses in the world as well as a showcase of modern architecture. In Shanghai you’ll find 25 structures that are over 200 metres tall, one of which is the insanely tall, the 468m downtown Oriental Pearl TV Tower. 4. New York City, USANew York City has one of the densest and most diverse skylines, with a huge collection of buildings and building styles. Thanks to Hollywood’s obsession with the city, it is also the most easily recognizable skyline in the world. New York City has an amazing 47 buildings over 200 metres - the most in the world! The four tallest buildings in NYC were all built in the early 1930s! Home of the famous, now destroyed World Trade Center Towers, the Empire State building, the Statue of Liberty and the United Nations, New York City is the financial capital of the western world. Upon the completion of the new "Freedom Tower" (built on the old site of the World Trade Centers), it may rank higher in this list (depending on how good it looks of course). Tokyo is the world's most populated city. Its skyline has a number of unique characteristics that set it apart from other big city skylines, among them 15 structures at over 200 metres tall (including the Tokyo Tower which changes colors every night). But because of the density and vast size of the city, every corner appears to have its own skyline. With the height restrictions and the required red lights that flash atop all mid to tall-sized buildings make the city look spectacular at night. Tokyo is filled with neon lighting and unique, contemporary architecture, and like New York City is also often portrayed in movies for its aesthetic and eye-catching cityscapes. Interesting fact: Tokyo houses the world's largest fleet of helicopters to get around town if traffic gets too crazy. One of the best (urban) planned and cleanliest metropolitan cities in the world, Singapore looks like an architectural model city come to life. The buildings cannot be higher than 280 metres due to air traffic control restrictions, but that has added a tall (but not too tall) and consistent building height and space pattern that makes this skyline unique: Three buildings are exactly 280 metres tall and 5 others (8 total) stand at just over 200 metres. The buildings are mostly light-coloured and there is a large expanse of greenery dotted around the city core. This South-Eastern city is definitely in a league of its own. Toronto is a meeting place, a crossroads of many cultures and ethnicities. Toronto is downtown Canada, the biggest city in the country with a skyline to match. Toronto has 7 structures in its skyline that stand at over 200 metres, including the astonishingly tall 553 metre, CN Tower, which is often referred to as the tallest free-standing structure in the world. While mostly untrue (because there are taller TV masts in the world), the CN Tower possess the world's highest observation deck, making this city's skyline one of the most immediately identifiable. This is probably the most impressive city worldwide that has less than 2 million residents. Marvelous modern buildings reach the sky here, and while the skyline is not too dense, it does allow buildings to soar and stand out. Kuala Lumpar has three of the 25 tallest buildings worldwide, including the tallest twin buildings, the Pretonos Towers (which are arguably the second and third tallest overall in the world) as well as the 420 metre Menara Kuala Lumpur Tower. What was a tiny fishing village on the border of Hong Kong in 1970 is now a buzzing metropolis of over four million people. With 13 buildings at over 200 meters tall, including the Shun Hing Square (the 8th tallest building in the world), Shenzen is a marvel of lights after sunset. You can’t help but ask yourself if you are in a video game or in a real city. “What building did you say they lived in?” Finding it in the largest mass of condensed apartment buildings anywhere would be like finding a needle in a haystack. Sao Paolo has a population of over 18 million people! While the buildings are not super tall (with only a single structure at over 200 meters tall) this skyline is nevertheless stacked. Sao Paolo has a fleet of over 500 helicopters, the second largest helicopter fleet in the world. Australia’s showcase city, Sydney has one of the most recognizable skylines due to its world-famous harbour, often referred to as the most beautiful natural harbour in the world. The Sydney Harbour has many bays, inlets and secondary harbours. It is spanned by the monumental Harbour Bridge, and the Opera House decorates the shoreline like a white flower. The Sydney skyline is world-class with hundreds of skyscrapers in the central business district and many more high-rise buildings in the outlying neighbourhoods. Sydney has 8 buildings over 200 metres tall. Certainly one of Europe's most interesting cities in terms of skylines, Frankfurt is home to five structures that are over 200 metres tall. These modern skyscrapers are marvels compared to those other, mostly non-existent ones scattered across European cities. The contrast here is interesting: The city combines low-rise, high-density traditional European architecture (some of which is over 1,000 years old), with modern towers that stick out like sore thumbs, but are impressive nonetheless. Is this a mirage in the Middle East? Seemingly out of nowhere emerges a city in the middle of a desert. This is Dubai, a city that produces only the best modern architecture in the world. Already home of the world's tallest all-hotel building and the tallest all-residential building in the world, AND currently proposed to build the world's tallest building, this skyline might just leap to the number 1 spot in the near future. While the skyline is not so dense, each building is a marvel all on its own. As a skyline it probably can't compete with the larger cities, however the individual buildings in this city are by far the greatest examples of modern architectural accomplishments. All seven structures in this city at over 200 metres tall were built in 1999 or later - that's how new this city is. Seattle is the commercial, cultural and advanced technology hub of the Northwest USA and a major port city for Pacific and European trade. Home 4 buildings over 200m and the famous 184m Space Needle observation tower, Seattle is surrounded by mountains and water and offers some picture-perfect views. Seattle is commonly referred to as the Emerald City and renowned as a great social and corporate city with great planning and planning. Although Pittsburgh only has two buildings over 200m tall, its skyline is very impressive nonetheless. Pittsburgh has nicknames like the "city of bridges", "the Burgh" or the "golden triangle" which outlines its true characteristics. It is surround by three rivers and the CBD is shaped in a triangle and surrounded by golden color bridges. The city is also surrounded by hills and valley's giving access to great views of the city. The city has not had a major skyscraper raised since 1988, but good planning and a scenic surrounding region still makes it a great skyline. Guangzhou is a very modern city, yet it is called "the City of Flowers,” as each of its spectacular skyscrapers is surrounded by grand green spaces and flower beds. Although it only has six structures at over 200 metres tall, there are plenty of other high-rises, each displaying a design that stands out in its own respect. This includes the 391 metre, 80-floor, CITIC Plaza which appears transparent against the (usually) clear blue sky! The "Big D", is a major inland American city. The city and metropolitan area lies amidst vast, high, and varying rolling prairies - with hundreds of large & small lakes, rivers, creeks, waterways and meanders. 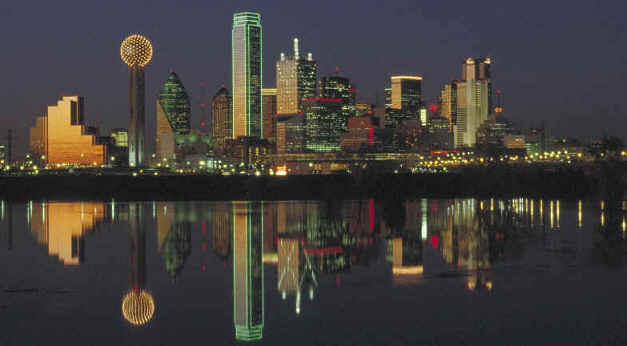 But Dallas; downtown is the center of the Forth-Worth-Dallas Metro Region which is home to 5.9 million people. 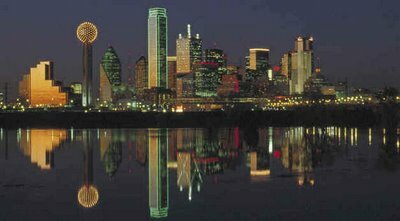 Dallas' skyline is home to 7 buildings over 200 meters and the 187m Reunion Tower which looks like huge sphere of light! The skyline is very distinctive at night as it building lighting is very colorful, particularly with lots of green. I want to thank for this article to Luigi Di Serio. I say for the second time, i have Luigi Di Serio permision to post this article. Enjoy ! Vancouver has a truly beautiful setting, but I wouldn't say its skyline is anything special. It lacks notable buildings. You really are missing the London skyline. Not to mention Johannesburg, Cape Town and Paris. I would second that vote for the London skyline - what with the London Eye, the Gherkin, and the beautiful bridges, all juxtaposed with the Houses of Parliament, St Pauls, and numerous other fantastic buildings, how can it not be on your list? The twin towers for KL, Malaysia is known as Petronas, not Pretonos Towers. However, it is glad that KL is included. It has got a very impressive and different Skyline. And there more Skyscrapers which are taller than 200m. Be honest, London is a great city but the skyline is not great. Very true, Paris should have made this list. Great collection of Pictures .. Selfmade? Great list, I love the Shanghai, China skyline, it looks so futureistic, is it a model of the future or the current? I would like to have seen all night pictures, as I believe those are the best way to present a skyline - nighttime lights and varying colors highlight and emphasize features in a way that daytime views just don't show. But it's a cool list nonetheless, and some of those cities are really something else (Tokyo - WOW). Dallas is ugly simply because none of the buildings jive with the others. By themselves each is somewhat interesting, but together I've always found it a rather ugly skyline. Sao Paolo is just a jumble of uninspiring buildings all of the same height, this shouldn't even be anywhere near top of the list. All way, way too phallic. For sheer class the modest skylines of Venice, Florence, Prague and even Rome should have been in there. I have been in Tokyo for 2 years. What about Mumbai/New Mumbai ? There are some decent Skylines there. Nonsens... Frankfurt hat knappe 700 000 Einwohner, Hessen hat grad mal 6.000.000.
also bitte die Angaben nicht unbedingt glauben ! CN Tower is the largest above ground, free standing structure in the world. The TV towers you're talking about have cable support anchoring them, thus they are not free standing. i would not include dallas or frankfurt or even toronto (a real let down after the CN tower) when excluding cities like minneapolis, vancouver, philadelphia and rio de janero. All four have superior skylines to many that were included in this list (dallas? really?). frankfurt is my hometown. in my opinion it's pretty ugly. but the nightlife is good to enjoy yourself. For sheer beauty Vancouver easily tops Shenzen (and 6 others in this list) and seriously, WTF is Sao Paolo doing here?? Doubtful as it may seem. Los Angeles has Grown and become EXTREMELY impressive. With with the sheer number of new skyscrappers in the past 20 years built on bunker hill in a tight little area, Downtown L.A. Resembles a monstrously huge castle overlooking its RIDICULOUSLY HUGE kingdom (Who's area dwarfs New York's) Nestled snuggly in the gorgeous mountains of Southern California. Not to mention the palm trees, elaborate hollywood style and beautiful sunsets. Go to this address and see. Dubai is a trainwreck waiting to happen. Think about it, lots of non renewable money from oil, most things we do for fun in the U.S. and the western world are Illegal in Saudi Arabia, Architects going crazy with whatever they want to do and no OSHA of federal mandates to tell them what they can and can't do (Not to mention they are building their eleborate death traps on sand) AND finally, they cater only to the rich. If you look at other, successful, tourist locations, (Orlando, Las Vegas, etc.) You will observe they get well over half of their money and economy from the little man bringing his friends and family on vacation. Highrollers have their place, but they can't sustain a cities infrastructure. And their oil money will shrink more and more as we switch to alternative fuels what with the environmental debate being so hot. Dubai will be done within thirty years. End of Story. Very interesting...and beautiful photos. My city, Seattle, does have a lovely skyline, especially with Mt. Rainier in the background, but I think Vancouver, BC is much more beautiful. Wonder why it didn't make the list? Berlin is definately missing. We hve the impressive fernsehturm (far watch tower), the forum hotel, the funk-turm (sparkle tower), the brandenburg gate, the new potsdamer platz (pottery plaza). We have more than 3 million people here. I can send picture to verify! also frankfurt is so provincal city and has only 600000 living people!!! The posted probably never been to vancouver? Vancouver skyline looking north across false Creek toward the mountains is breathtaking. Agreed, the downtown skyline as observed from the mountains is unremarkable. what about Vancouver, BC? It doesn't need more prominent buildings, it has the ocean and the mountains to give it the best natural sky line in the world. you think the pittsburgh skyline is better than vancouvers? wow thats just stupid. Vancouver really should have been on the list. It shouldve been way before most of these cities on the list. is picture I took of the Seattle Skyline from one of the ferries coming back from Bremerton. Seattle well planned? No way. I am over there every few weeks and driving in the traffic is a nightmare. Some of the buildings are cool, and its suburbs are well planned, but I don't think you can say the downtown district (where the skyline is :P) is well planned. It seems to me, this compilation of "skylines" is based on the number of tall buildings multiplied by how much of the city is newly built, multiplied by a population factor. There are no points awarded for natural beauty or ease of access, or climate, just to mention some of the skyline factors. Another 5 minutes I'm never getting back. YAY Pittsburgh! It's not only about having the MOST buildings over a certain height but how the skyline is laid out and Pittsburgh rocks in that sense given the rivers and the bridges. Awesome list. However I think there are other cities that are more deserving than Pittsburgh. Don't get me wrong, Pittsburgh is a cool town but there are other places that have skylines with surpass Pittsburgh in size and style. Some cities that come to mind are Tel-Aviv, Bangkok, Philadelphia, Atlanta, Melbourne, Istanbul, Cleveland, Charlotte, Montevideo, Calgary, San Francisco, Houston, and Montreal. Obviously the list isn't large enough for all these cities, but those mentioned above deserve to be thought of as top skyline cities. Still though, a very interesting compilation of giant skylines. Make the Population text smaller and maybe italics instead of bold. Right now it's confusing and hard to pick out the city name because the population looks the exact same. Seattle is definitely a worthy city. There is no bad view of the skyline. The ruggedness of the Olympic Range and the majesty of Mt. Rainier are just breathtaking. I highly recommending taking the ferry into town, as well as a drive northbound into the city on the Alaska Way Viaduct. Or just do a google image search for Vancouver skyline. Vancouver may not have "notable buildings", although I think the conference centre, GM Place, and bridges are pretty notable, the backdrop more than makes up for this. And Sao Paulo does not belong on this list. It's just a huge messy pile of old, run down buildings. I am shocked to see that the beautiful, tropical, neon-lit skyline of Miami did not make the list. The city is a modern gem that is getting larger and nicer by the day. Shame on you! No Las Vegas? Really? I know it's more gaudy than Dubai, but come on. São Paulo not Sao Paolo ! For the person above me, Dubai isn't in Saudi Arabia and there is no country (at least on this planet) called "Arabia". Go look at a map and learn some 1st grade geography before you come and make a fool of yourself by flaunting your ignorance. First of all, Dubai isn't even in Saudi Arabia, it's in the United Arab Emirates. Secondly, Dubai gets almost no money from oil. They've been off the spigot for years. It's a trade hub for Africa and the Middle East and increasingly, Europe and East Asia. Third, you can dress as you like in Dubai, you can go to bars and drink alcohol, watch movies in cinemas, and so on. On another note, Frankfurt? Beautiful skyline? Please. Makes about as much sense as Dallas. San Francisco needs to be on the list way before either of those two ugly dumps. All the people whining about the population numbers, these are metropolitan area populations, not city limits. Ever been to Dallas? I have. Not worthy of the skyline list. great list with the exception of Dallas - and I'm from Texas. aww. U.K. isnt in there? Been to all these places. I'd say the most glaring omission is San Francisco. Paris and London are great cities to be sure, but their skylines are not, Eiffel tower or not. I cannot believe they did not include Honk Kong. It is a breathtakingly spectacular skyline especially at night. See for yourself. London's "skyline" isn't that impressive. it has some amazing architecture, but a lot of it is very low (Parliament, for example) and the others, the Gurken, the Eye, and Canary Wharf, OXO tower (purleeasseee), are so spread out as to be completely disjointed. In the context of these other skylines it doesn't fit. Neither does Paris I would say - not all that well anyway. i believe that the photographer did not do dubai justice.. i'am not from dubai but i have been there twice and the coast line views and skyline is breathtaking and too the ignorant people who dont know nothing about dubai and keep blabbing on as if they know what their talking about it is legal to Drink and Serve Alcohol in Dubai and its making wonders.. it is the most innovative city this side of the world.. wait and c!! There's only one building in Seoul over 60 storeys high, the non-residential 63 Building in Yeoido (as the name suggests, it's 63 storeys tall, and all Koreans are very proud of it). There are plans to make a much taller tower across the Han river from it, and one in Incheon, a suburb of Seoul, but those haven't happened yet. In my humble opinion, the Boston skyline taken from Cambridge with the gold dome of the state house topping Beacon Hill with collection of (admittedly undistinguished) skyscrapers in the background is one of the world's most unique. Yes, I'm from there but I stil think I'm right. Umm ... Toronto is "downtown Canada"??? That's like saying New York city is downtown USA. Great pix, but the list seems biased against China. I would have given Chinese cities 4 out of the top 6 spots. Especially the transparent skyscraper! I personally just love the way South American cities are often surrounded by such beautiful landscapes: beaches, mountain ranges, etc. Good to see Sydney made the list! I have a feeling the anonymous poster above me has no clue what country Dubai is in. Hint: It isn't in Saudi Arabia. Great post but Toronto? I live here and couldn't be inspired less by the skyline. Vancouver is ugly as well if you remove the Rockies, very boring architecture. Calgary probably has the best skyline in Canada. How did San Francisco not make the list? Rio needs a mention as well. What about Mogadishu or Kabul? I want to point out that the image of the New York City skyline that you have posted is not what New Yorkers would generally think of as the skyline. Your image is of midtown and upper midtown viewed from New Jersey. The Empire State Building is in midtown at 34th Street. It is the building on the right with the pointy tower. All other buildings are north of it. What is traditionally considered the Manhattan skyline is at the southern most tip of Manhattan Island. This area is bordered on three sides by the waters of the Hudson River, the East River and Upper New York Bay. This would give an appearance more like the image of Sydney, Australia though of course different. The more usual image of the skyline of lower Manhattan is from Brooklyn or the waters south of the island. There has been a shift in the skyline with lower Manhattan somewhat saturated years ago, leading to a new skyline in mid-town. interesting and inspiring! I want to go and see Shanghai. Where's London though? Do you have something against the Brits and the French? Also, arguably, London is the financial capital of the world, 'square mile' and all that. It figures an ignorant Torontonian thinks Vancouver's mountains are part of the Rockies. They're actually part of the Coast Mountains. That's OK, just go back to your little center of the universe. Hopefully, the author will be able to visit Vancouver one day to realize what a mistake it was to omit Vancouver from this list. Within the last 3 months I've visited Shanghai, Hong Kong and Tokyo, of the three by far and away Hong Kong justifies it's #1, go up to the top of Victoria peak and watch the city at dusk as it lights up, or get too the Kowloon viewing platform at 20:00 and see the lights and laser displays from the sky scrapers on Hong Kong Island. Shanghai is impressive, personally I recommend going to the viewing platform on the Jing Ang tower in Pudong to get a double whammy of a view across the city and a view down into the Hyatt that inhabits the top third of the building, it seriously looks like something out of star wars. Other than that the classic is too take a walk down the side of the river with Pudong on the opposite side, trying not to laugh at the somewhat effeminate tourist boats (one has a Tiara for gods sake), then turn left down Nanjing Lu and walk up towards people square. In tokyo, just go to the Tokyo City View in the TV Broadcast tower in Roppongi head up the middle and then top obversation rooms, probably one of the few sights in Japan sufficient to drag your attention away from Japanese women. good list, I'd like to second the vote for LA and Houston. Some of those cities look like somebody just went to town with the photoshop clone tool. They have 0 variety. And a couple of them are fake renders of what it's supposed to look like in the future, not real pix. Some of those skylines are rubbush!!! Melbourne in Australia has a much better skyline than most of those places and I am not even biased as I am from London. A good selection, though I think Sydney deserves a higher rating. BTW, Guangzhou's sky is usually neither clear nor blue. Not one person mentioned SAN DIEGO. A gorgeous skyline with some very interesting shaped buildings, overlooking the bay. What, no Perth, Western Australia? I'm from Dallas, and think it's a great skyline. I might have put Houston in there before big D though. I've also thought Pittsburgh's skyline was beautiful. Glad to see you think the same too. Nice list, thanks for the read. Leaving out Philadelphia is near criminal. How it didn't, at the very least, beat out Dallas is beyond me. And, although right now it's under construction, when the Comcast Center is finished, we'll have a new tallest centerpiece. Check it out! The guy talkin bout LA not being on the list, Hell ya can't see the city because of the smog. How ya gonna take a picture. Many American cityscapes are broad commercial districts punctured by modern spires. What makes Pittsburgh's skyline so tight is the layout. The downtown is compact because its surrounded by rivers and hills. There's no flat, expansive area upon which to build (like Cleveland, Minneapolis, Philly). You could raise wooden clapboard housees between the three rivers and Pittsburgh's skyline would still be more impressive than that ragtag assembly of boxes called Cleveland. Cape Town should make the list for geographical position, and being the only skyline designed to look like Tampons. I think they're doing the right thing in Dubai by building up the city as quickly as possible. They have a lot of oil money now, and are using it to build up the country's infrastructure, while the money is good. In 30-40 years, when the oil runs out, they do not want to go back to camels, tents, and dirt! So, building up a modern city while the oil money is still rolling in, is a smart thing for them to do. Wait...wait...Pittsburgh and Dallas make it, but Philadelphia doesn't? Allrightythen. I find it amazing that Toronto was rated as one of the top 18 skylines and Vancouver wasn't even mentioned. Vancouver has a much more beautiful skyline than Toronto does and it also has the mountains in the background adding to it. Downtown Vancouver is also cleaner and much larger than Toronto. Yeah, the Pittsburgh skyline is just unbelievable. The rivers really frame it and the hills mean that there are a lot of great viewpoints. Definitely one of the top skylines I've seen. I used to live by Philly, and it is nowhere close. Not even close. Height does not equal pretty. I agree with the list for the most part, however I strongly believe that Vancouver should have been on there. How can the New York skyline NOT be #1. NYC has the most tall buildings in the world, and is easily the most recognizable skyline in the world. The creator of this list must have an anti-New York bias. Interesting list! Whomever said that Pittsburgh was unworthy has probably never been there. When you drive through the tunnels and BAM the city is right there infront of you... what other cities offer that? The rivers do frame it nicely. I live in the city on one of the surrounding hills and the views are amazing from so many viewpoints. Philly might be larger but like the poster before me said, bigger isn't always better. When I travel I can't help but notice how boring and ugly most flat areas are. Hills provide for such a better landscape/views. The list is of great skylines not great cities. If it were the latter, this list would most definitely be different. I think he meant a skyline as defined by a city's buildings and not so much the natural surrounding area -- many mountains have impressive skylines (e.g. Mt. Fuji, Mt. Kilamanjaro), but none of them would be appropriate for this list. Aren't city skylines fascinating in large part because they're man-made structures that (almost) rival natural ones? Plus, it seems to me to be a fairer way to judge them anyway. And to all those who wanted to see Philly in this list: are you serious? I am from Philly (technically the burbs) and love it to death and would definitely say that it has a lot great features, but its skyline is definitely not good enough to be on this list. (OK, maybe it could replace Sao Paolo, Brazil) It is getting better though, so maybe in a few years. I think Hong Kong without a doubt has the most spectacular Skyline in the world, not only is it sophisticated modern city it is clean and the people are beautiful and friendly.